A quick word on tilapia, specifically the Nile tilapia, oreochromis niloticus. Firstly, no permit, no sale. A permit will effectively set you back between R6K and R12k depending on what hoops DEA decide to make you jump through. All of this cash is for this thing called a Risk Assessment which you will be required to complete – DEA doesn’t have the competence to do these themselves so they are outsourced and you HAVE to use a third party SACNASP accredited vendor to do this for you or DEA won’t recognise your application. You might get lucky and avoid a risk assessment so apply anyway, and then be prepared to moan at DEA when they get all stupid on you. This is applicable whether you have one fish, or one hundred million fish. So for small aquaponic operations for which we receive a bazillion enquiries, we can’t help you by just supplying you a few niloticus. 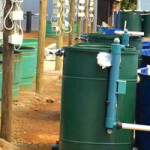 Whilst the Aquaculture Production Unit can be used for any species, freshwater or marine, we believe that tilapia is a primary candidate species for sheer tonnage production in Southern Africa for simple reasons. It is one of the most farmed species in the world. It is proven, with proven market demand. It spans entry level to high end markets. It is a Closed Loop species – we know we can breed it, feed it, grow it, sell it, on demand. The difficulty lies in accepting that tilapia development will happen locally despite government and not because of government. In every aspect government legislation and red tape are an obstructive obstacle to be overcome. You need to understand this so that you are prepared for it. 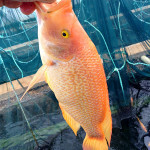 Nile tilapia farming will not take place in Limpopo, KZN or Mpumalanga. Arguably from a climatic point of view these are the three most suitable provinces for Nile tilapia production so go figure. The details are unimportant – but if you really want to know the reasons why consult with DEA yourselves – in all honesty we have given up engaging with them because we know when we are beaten by stupidity and obfuscation. So if you are in these provinces and wish to engage with tilapia farming you can only do so with non economically viable species like oreochromis mossambicus with the intention of learning and then switching to niloticus when the authorities come to their senses. However, be cautioned that this is unlikely to be anytime soon and investing millions would not be advisable. So what about other species? Permitting issues aside, you need to consider the Closed Loop hypothesis that we have developed over the years. We can breed it. On demand. Anytime. Anywhere. In the event of a pinch we can buy in or import fry. i.e supply for the farm is 100% guaranteed. We can feed it. We know the recipes. We know we can cost optimise feed since we know exactly what the feed makeup should be. Feed availability is guaranteed and in the event of a crisis can be imported. Feed is thus 100% guaranteed, from fry to harvest, at a predicable Feed Conversion Ratio. We can grow it. 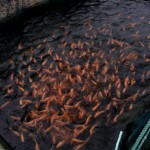 We know the conditions, exactly, under which the fish can be grown. We know what stocking densities they grow at. We have accurate growth charts that are based on actual data. In other words we can create the set of conditions to grow the fish optimally at, because we know what these conditions are precisely. We can sell it. 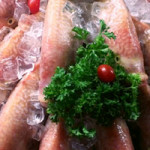 We know what price we have to attain to sell the fish at to make the business viable. We know where we are likely to sell the fish and we know the likely demand for it. We know the impact of price variation on our business model. It may look simple enough but the Closed Loop is deceptive. 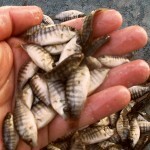 Few species can close the loop in the way that tilapia can before you commence production. Businesses who cannot answer all the questions posed in the Closed Loop hypothesis without confidence will fail. There are numerous case studies on this – sadly many within Southern Africa that you can look up. Tilapia is a Closed Loop species, possibly ahead of all others. Other closed loop species in Southern Africa would be abalone and trout in Southern Africa, and maybe catfish are starting to make a case. We like tilapia as current production tonnages are low, but with market demand potentially orders of magnitude higher than for abalone or trout. 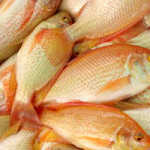 Current tilapia production in South Africa is around 400 Tons Per Annum (TPA) according to DAFF. The skeptical would halve that figure. Considering that Egypt produces over a million tons per annum you can start to see the scale of the opportunity.